While regular admission to the major museums in the area can be on the expensive side, many offer discounts and admission deals. – Disclaimer! I do not work for any of the following museums, and may not hear about the latest admission price changes. Please check the museum websites for the latest information. If you find any incorrect information, know of any new deals, or know of a museum I missed, please contact me at wickedcheapinboston@gmail.com. – A note about library passes: The Boston Public Library and many of the other local libraries in the area (Brookline, Cambridge, Somerville, etc) have a museum pass program for anyone with a valid card. Check online for availability – there are a limited number of passes each day so they book fast. Starts at $50 for Individual (Pays for itself in less than five visits) and includes admission to four Harvard museums. Starts at $65 for individual (pays for itself in less than 5 visits) and $95 for two people (pays for itself in less than 4 visits) and includes member viewing hours, events and discounts. Starts at $70 for one person (pays for itself in under 5 visits) or $95 for two (pays for itself in under 4 visits) and includes members-only exhibition previews and events, free audio guides and members-only tours. Starts at $30 for Individual (pays for itself in three visits) which includes free admission to lawn events, members only events, and access to the automotive research library. Starts at $75 for an individual (pays for itself in 3 visits), or $110 for two adults (pays for itself in less than 3 visits) and includes free admission as well as discounts on dining, shopping, parking, and events. Starts at $85 for two people (pays for itself in less than 2 visits) and includes one-time-use passes for Omni, Planetarium, and guests. Starts at $95 for two people (pays for itself in less than two visits) and includes free admission, member exclusive events and discounts. $35 for Individual (pays for itself in five visits) and $60 for Family (pays for itself in under five visits) and includes free admission to concerts, lectures and special events. Starts at $50 for individual (pays for itself in five visits) and includes free admission to the Bostonian Society research library, shopping discounts and members-only events. Starts at $45 for Individual (pays for itself in under 6 visits) and includes free admission to 36 historic properties in New England. Starts at $45 for Individual (pays for itself in under 6 visits) and includes invitations to special events. Note: The Museum and the USS Constitution are run by different organizations. There are free tours of the USS Constitution Thursday through Sunday. Starts at $30 for and individual and includes a Member Reception and special events. Join at the $100 level for free admission to over 80 maritime museums across the country. 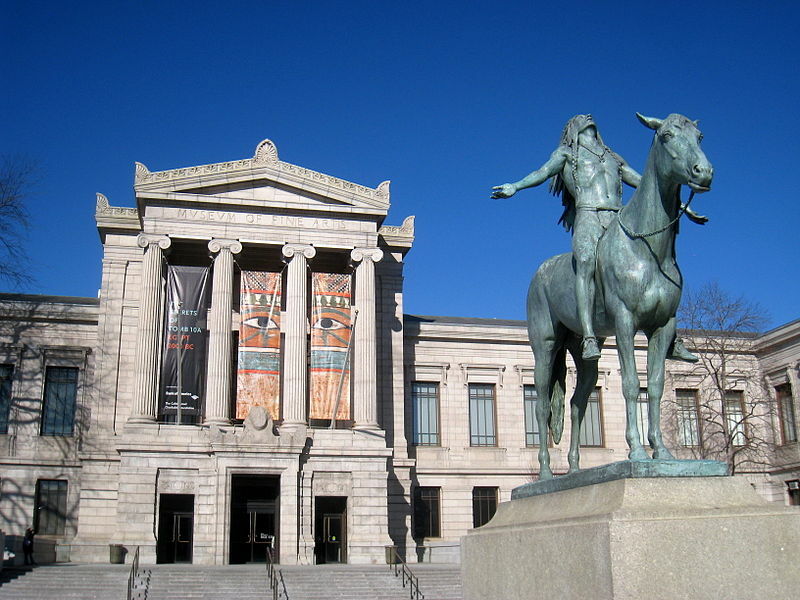 Do you know of another museum in the Boston area that offers some sort of discount? Please post it in the comments section below. Thanks! Molly grew up in NH and moved to Boston in 2004 to attend Simmons College. Born cheap, spending more than $20 on anything gives her hives. She's a hunter of bargains and will say yes to (pretty much) anything if it’s free. She wrote for Wicked Cheap Boston from 2010 to January 2015.